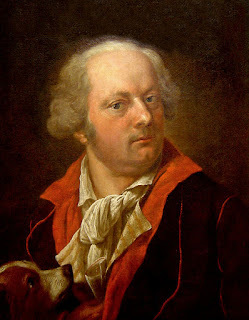 Mozart: New Documents is pleased to announce the posting of two documents that bring to light a previously unknown incident in Mozart’s life in 1791, and to welcome Michael Lorenz as a guest contributor. 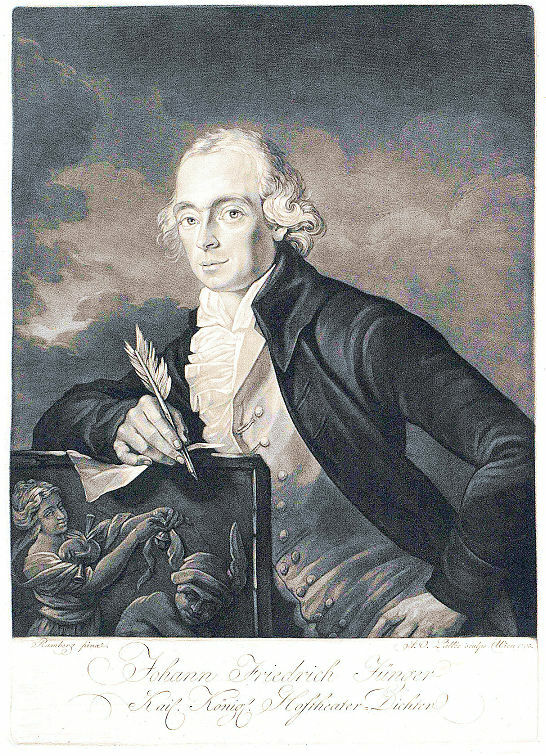 At some point during that year, the playwright Johann Friedrich Jünger (Hoftheaterdichter to the Viennese court theaters) and actor Johann Franz Hieronymus Brockmann (the director of the theaters) asked Mozart to write a piano piece for Jünger's new comedy Er mengt sich in Alles, which would be premiered in the Burgtheater on 23 August 1791. It remains uncertain whether Mozart eventually composed anything for them, but all early sources for Jünger’s play (including the original prompter's copy and the earliest editions) retain a reference to Mozart. In Act 5, scene 2, one of the characters asks his daughter to play his "favorite sonata." When she feigns not to remember which one he means, he responds: "The one by Mozart that I like so much. You’ve played it for me a hundred times." This is followed by a stage direction indicating that she should play something on the piano at that point (although exactly what is left unspecified). Er mengt sich in Alles was performed six times in all in the Burgtheater before the end of the season 1791/92, and it was performed twice in Prague during the festivities surrounding the coronation of Leopold II in late summer 1791. The play was quickly taken into the repertories of German ­language theater companies elsewhere, and it went on to become one of Jünger’s most popular and frequently performed plays. Er mengt sich in Alles remained in the repertory of the Burgtheater until 1853, and performances elsewhere are documented as late as 1875. The reference to Mozart in Er mengt sich in Alles was discovered by Dexter Edge, and the reference to Mozart in Jünger's letter was discovered by Michael Lorenz. Edge and Lorenz are coauthors of the commentaries, which are written by Edge, incorporating additional archival research by Lorenz. The commentaries are accessible on the website Mozart: New Documents. 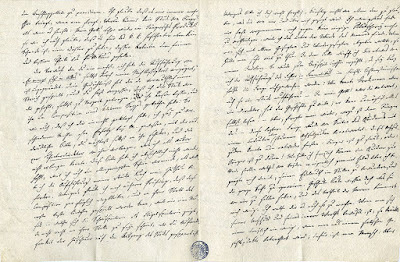 In an undated letter to Brockmann, Jünger writes that he has been to see Mozart repeatedly with a request that he write a short new piano piece for the planned production of Er mengt sich in Alles. Our commentary discusses in detail the dating of the letter, and shows how contextual clues suggest that it may have been written as early as the middle of March 1791, several months before the play’s premiere. We then consider whether any of the four known piano pieces by Mozart that certainly date from 1791 (K. 613 and the fragment K. 357) or may possibly date from that year (the fragment K. 312 and the minuet K. 355) could have anything to do with Jünger and Brockmann’s request. 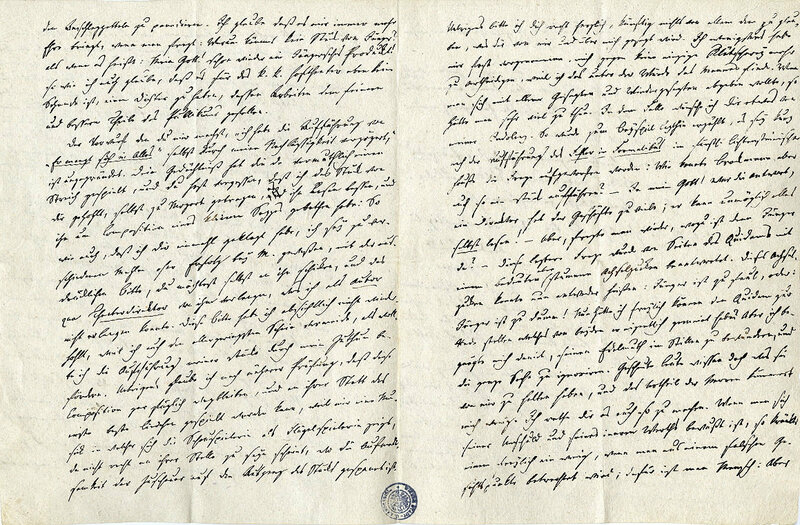 Folio 1v and 2r of Jünger's undated letter to Brockmann from 1791 in which Jünger refers to his request that Mozart write a short piano movement for the play Er mengt sich in Alles. The passage quoted below begins with the new paragraph on the left page (A-Wst, H.I.N. 1207). samkeit der Zuschauer auf den Ausgang des Stücks gespannt ist. of the spectator is in suspense over the outcome of the play. Jünger's Er mengt sich in Alles is a thoroughly reworked adaptation of Susanna Centlivre’s 1709 play The Busie Body, with the action transplanted to Vienna. Our commentary summarizes the plot of Jünger’s play, and places in context the scene referring to Mozart. We then discuss the cast of the premiere and the play’s reception, and we consider what music might have been played on stage in the early performances. We also explore whether Mozart might have attended any of the performances that took place while he was still alive. The main commentary is followed by a new biographical sketch of Jünger, incorporating many newly discovered sources on his life. © Dexter Edge.& Michael Lorenz 2017.